There are many river cruises available in Russian. Take a trip from Moscow to St. Petersburg and view the many sights of these two beautiful cities. Or just travel along the waterways and lakes and take in the splendour that Russia has to offer. No trip to St. Petersburg is complete without a trip to this wonderful theatre that opened in 1860. You can watch world class ballet, or immerse yourself in an enthralling opera. The stunning architecture of this church that was opened in 1907 is a sight that travellers must see. Explore the exciting history of this monument that was dedicated to the memory of Tsar Alexander II. This amazing museum was founded in 1764 by Catherine the Great. 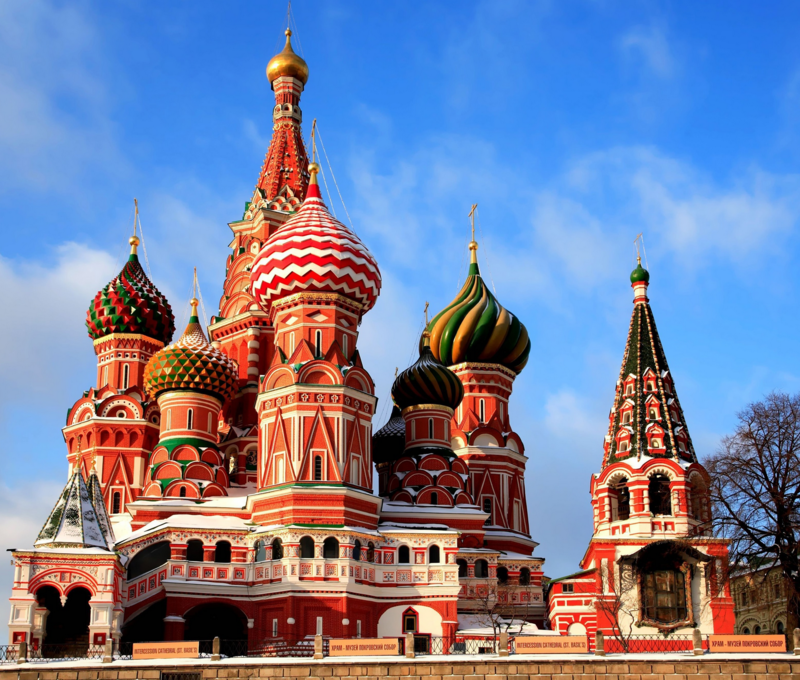 Wander through fascinating exhibits of art and culture that highlight the enthralling history of Russia. 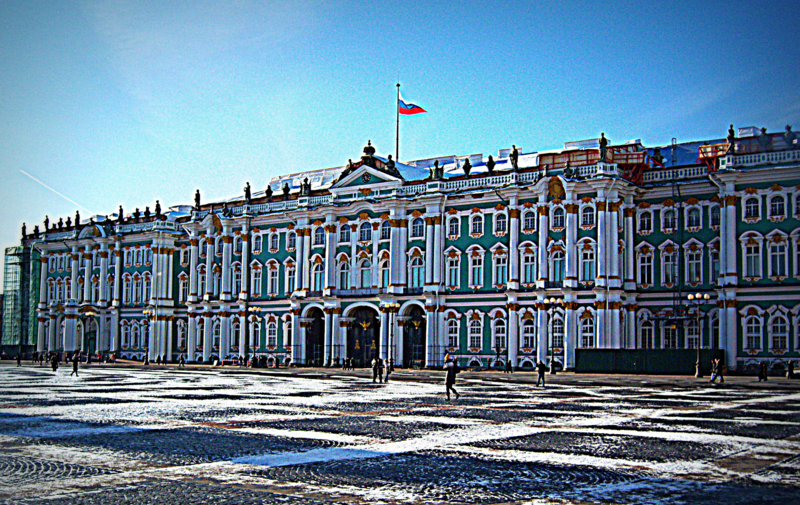 There are six buildings including the wonderful Winter Palace that was one the residence of Russian emperors. Take a trip back in time to the 13th century and explore the fascinating history of this island in the Karelia region of North Western Russia. There is an amazing open air museum that features The Transfiguration of our Savior, a 120 foot high church with 22 domes. The museum has over 3 million artifacts and you can also view barns, chapels, windmills, and wooden houses. This is the second largest geyser field in the world and it is located on the Kamchatka Peninsula. It was discovered in 1914 by Russian scientist Tatyana Ustinova and since then it has been a popular destination attracting tourists and scientists alike. This stunning building was built between 1554 and 1561 and it was designed to resemble the flames of a bonfire. The brightly coloured building, located in the centre of Moscow, is one of the top tourist attractions in Russia and is reminiscent of the jeweled Faberge eggs that this country is also renowned for. 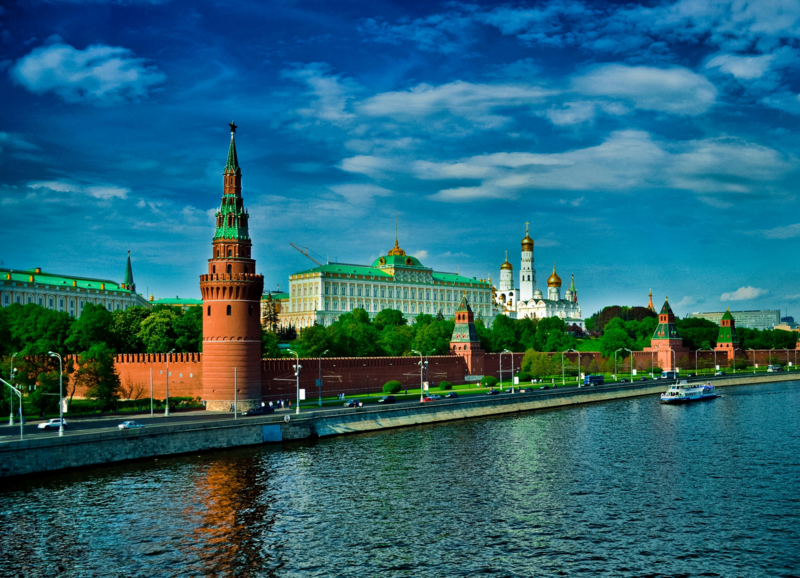 Wander through the walled area of the Kremlin in the heart of Moscow and explore the fascinating history and culture. It houses the government houses of the nation as well as four cathedrals dating back to the 15th and 16th centuries and many interesting museums including the Armoury. Travel through the Armoury and see wondrous sights like a 190 carat diamond once owned by Catherine the Great and the stunning Faberge eggs. This is one of the longest and most famous railway systems in the world and it runs from Moscow to Vladivostok near the Chinese and North Korean border. It is known as “the route of the tsars”. You can relax peacefully with your own bathroom and shower or travel on a third class sleeper across this magnificent country.